Round Coin Capsules come in sizes ranging from 14mm (internal useable space) for small coins up to 62mm for large items like collectible medals. 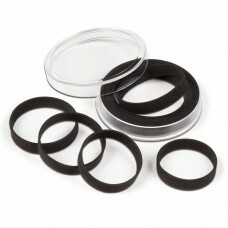 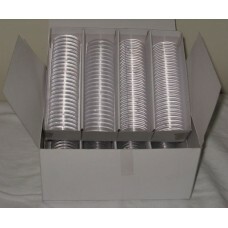 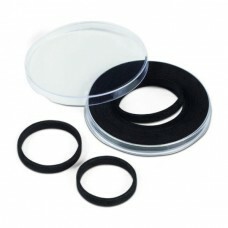 These round coin holders are inert and safe for long term storage. 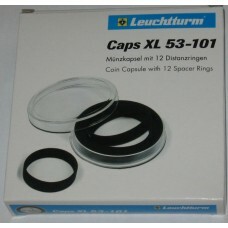 2-piece snap together design that sandwiches the coin inside. 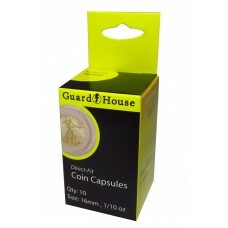 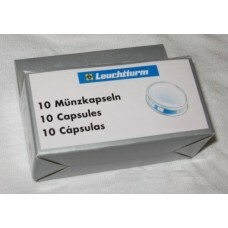 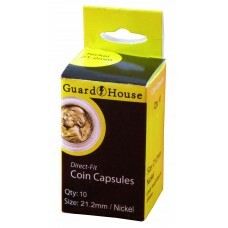 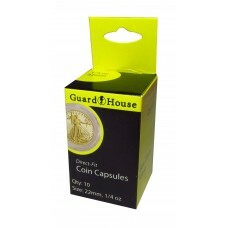 Round coin capsules are clear on both front and back and scratch resistant. With over 50 sizes to pick from, we have a capsule that will work for almost any coin ever produced. 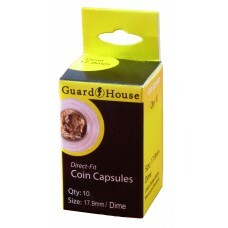 For US coin sizes, some customers prefer a tight fit while others prefer a loose fit.